Just want to send a link to a client for them to purchase galleries online? Here's how you do that. Click on "Create Online Sales Opportunity" to begin creating an Online Sales Opportunity. You should see the above screen after you've started creating an online sales opportunity. Swift Galleries has provided an example email that you can send to your customer, but feel free to modify it according to your needs! 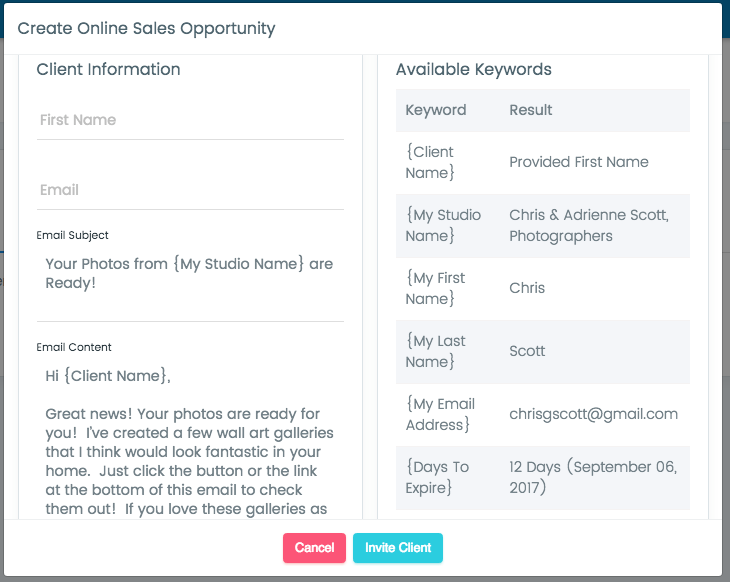 The "Available Keywords" section shows you some keywords you may use to drop into your email and provide additional information.